In a game where colour is both friend and enemy, 13AM Games have delivered a platformer that is both testing and rewarding. The tricky nature of its adventure modes, along with the fast pace of its multiplayer, allows for a healthy balance between gameplay that leaves you with a great deal of satisfaction throughout your time with it. The opening few levels of Runbow’s adventure mode begin like a classic case of reading a book by its cover. The simple gameplay and the supposed easy nature of the opening few sequences quickly lead you into a sense of not knowing if the game’s going to hook you in the way you wanted. The adventure that then blossoms and grows changes all this as your thought process begins to be increasingly tested and your patience progressively strained. The adventure modes base themselves on having to achieve certain objectives to complete a level, before moving on to the next one. Objectives range from having to reach a trophy at the end of a level, collecting a certain amount of runbucks (coins), to defeating a varying number of enemies. The changing mission objectives prevent the sense of repetition and gives the player a chance to mix up the use of character abilities that can be individually used across various levels. All three merge together to create a well thought out adventure that upon finishing, leaves you with a strong feeling that at times you have had to really work hard in order to achieve the success of completion. 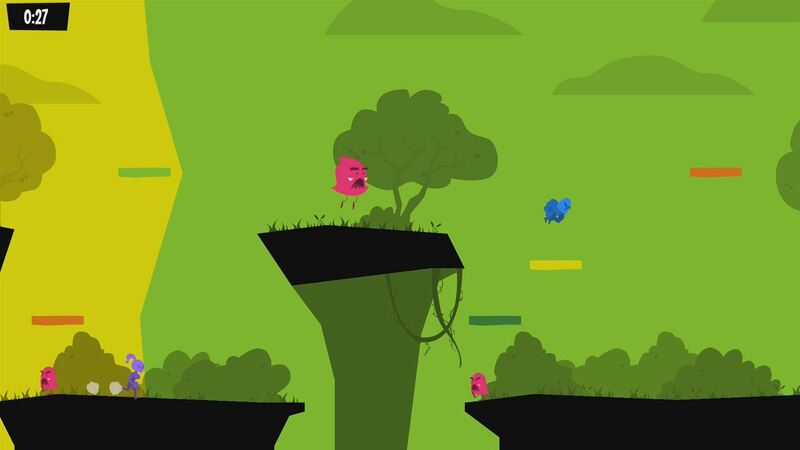 Throughout the adventure levels you are effectively chased by a wall of colour – it is the assorted colours chasing you that determines which platforms disappear and subsequently reappear. This makes precision a key concept in succeeding as you begin to time your jumps in tune with the ensuing wall of colour. This feature is the backdrop to the whole game and something that the individual level design is built around. The variety of level design in Runbow’s adventures turns out to be arguably the most impressive feature of the game. For such a simple concept, the game really pushes the barriers in creating a distinction in design that offers a range of tests whilst giving the player a great experience. Variation in design comes in the form of volatile environments; the challenging design of these environments give the adventure modes an added sense of difficulty as you begin to battle not just the platforms, but your environment as well. Both the wall of colour and level design impressively work hand in hand, as timing becomes essential in competing within a world that is built to see you fail. Runbow’s online mode is fast and chaotic, in what at times feels like a watered-down version of Super Smash Bros, as you and eight other players go toe to toe across the game modes trying to become victorious. Each individual game offers a blistering pace to an online experience that, if not kept up, with will leave you failing miserably. The quick nature of Runbow’s online is constant throughout and because map design is fairly small, as soon as it is packed out with the nine players chaos rules supreme. The chaotic nature means games are kept short and half the time you can find yourself dead before you feel the game has even begun. This incorporates an element of tactical thinking into your gameplay as you start to become clever with your attacks and strategic with your manoeuvring. Every player has their own tactics to keep up with the fast and brutal nature of online games, whether it’s an all-guns blazing approach, or sticking to a personal strategy, each game offers different challenges for you to overcome and be crowned champion. The only thing that lets the online side of things down is the feeling of wanting that little bit more. 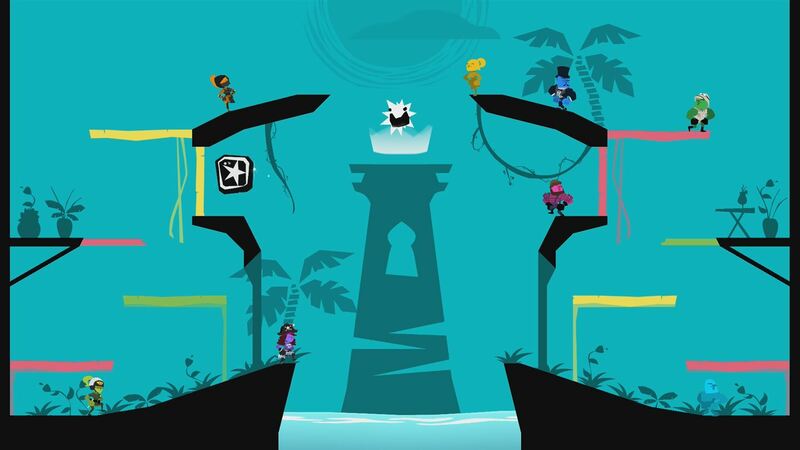 Runbow only has three game modes – the first takes the form seen predominantly within the adventure levels where players race to a trophy, the second drops players into an arena to battle it out to be last one standing, and the third is a king of the hill mode by which you must remain in a certain area of the map for a specific number of seconds. With only three game modes, your experience feels like it’s been cut short and that the game needs a couple more modes just to prolong your time with it. In a way, this can also be flipped as a positive because wishing for more from a game is never a dreadful thing and it really is a testament to the overall enjoyment you receive from playing Runbow’s other online stages. The lack of depth also does not diminish or take anything away from my opinion of Runbow. All three available modes offer a nature of online multiplayer that is both fun and competitive – the need for more just highlights the strong potential Runbow’s online has to be even more notable. Ultimately, Runbow is a strong platformer that leaves you with a general sense of enjoyment whilst playing. The slow burning start of its adventures turns into an experience that should be enjoyed by everybody. It is the gameplay and design that essentially make the game stand out against other traditional platformers. The difficult nature offers a test to players that see elements of patience, luck, and skill come together in a way that makes you think about every decision and move you take. Despite the slight lack of depth to the online, it should not deter you from playing Runbow as the present online modes continue to feed the fire of the overall positive view of the game, giving players a great experience that can be appreciated both solely and with friends. 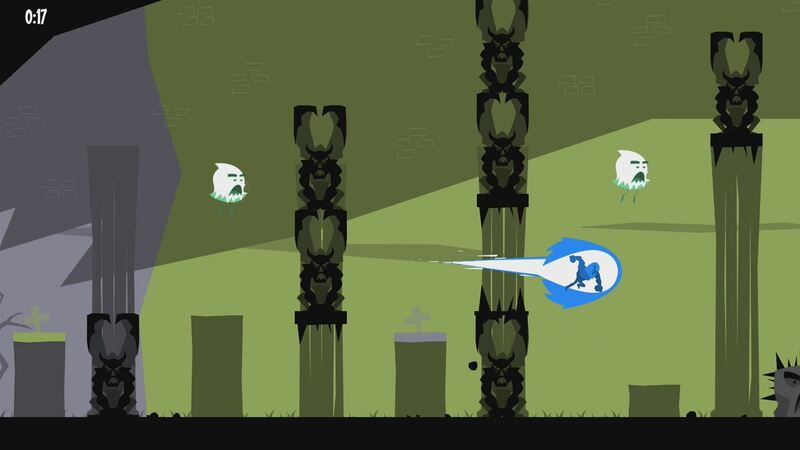 Runbow is a true platformer that offers something for everyone. Next articleWhat Did The Destiny 2 Beta Get Wrong?